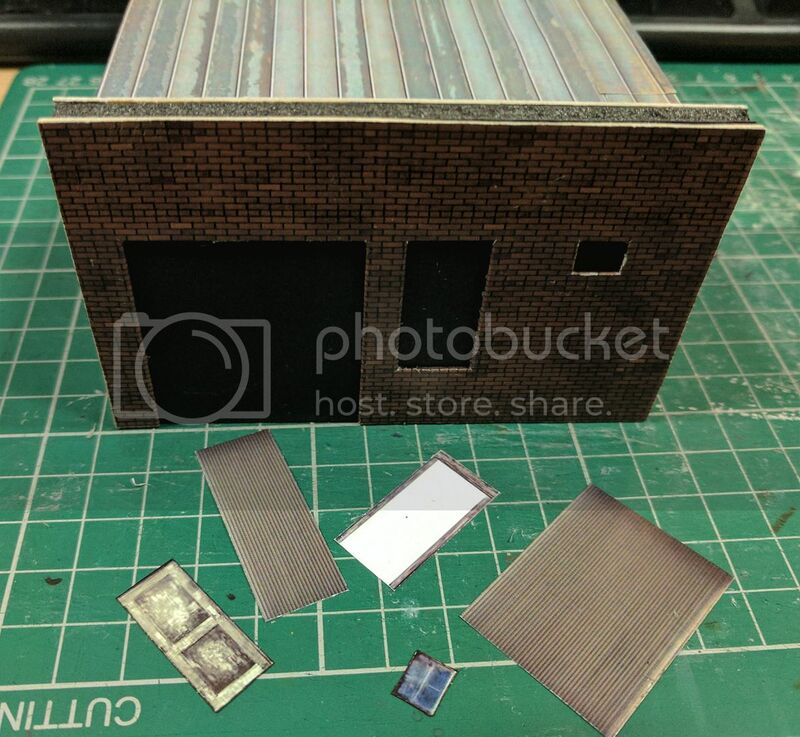 nScale.net - Brick yard office - scratch building in cardstock - progress and how-to guide. 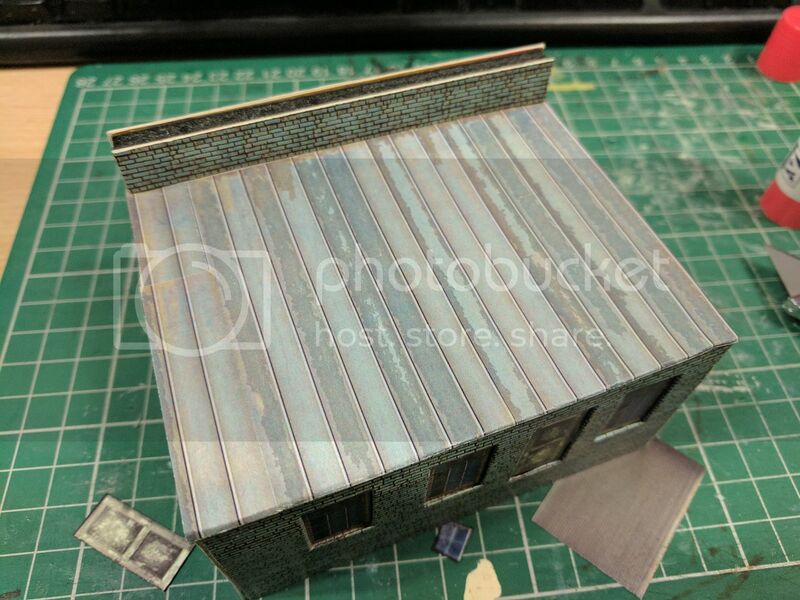 Continuing from the previous post, the roof has simply been covered in a metal roofing texture, and the rear of the front wall has had a strip of card and painted brick texture applied. For the next part of the guide, I'll touch upon the similiar - though different - method used on large doors, in this instance a roller shutter. 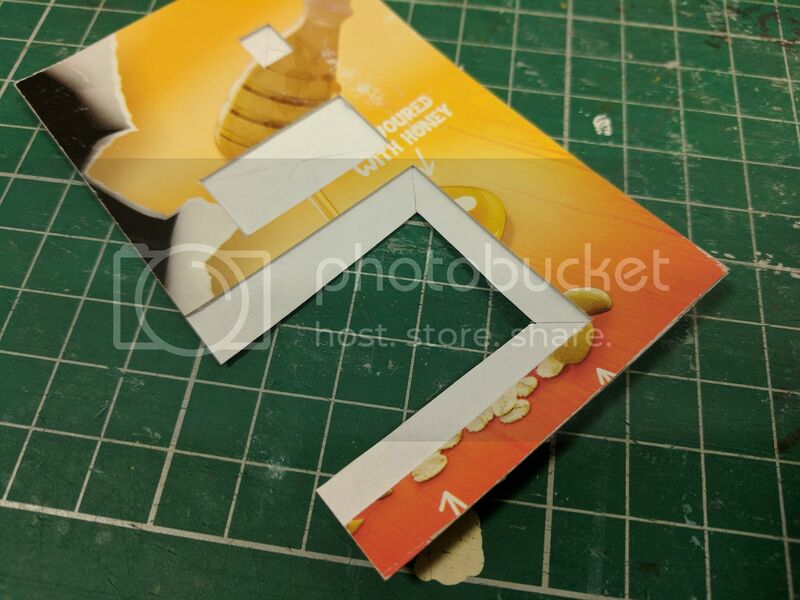 ...fold and glue them back just like you would with the windows. 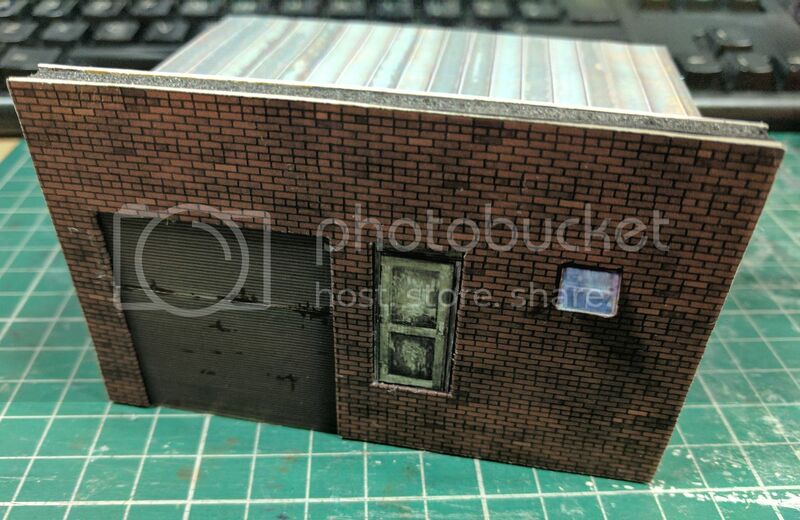 The next stage is to apply the roller shutter door, front doorway, and a small open window. Apply the door and the roller shutter exactly how the windows were done earlier. For the open window, take two identical small window textures, and simply glue them back to back, creating a double sided texture paper. Apply a bead of white glue along the top edge of the window and press it into place at an angle, protruding out from the window frame. 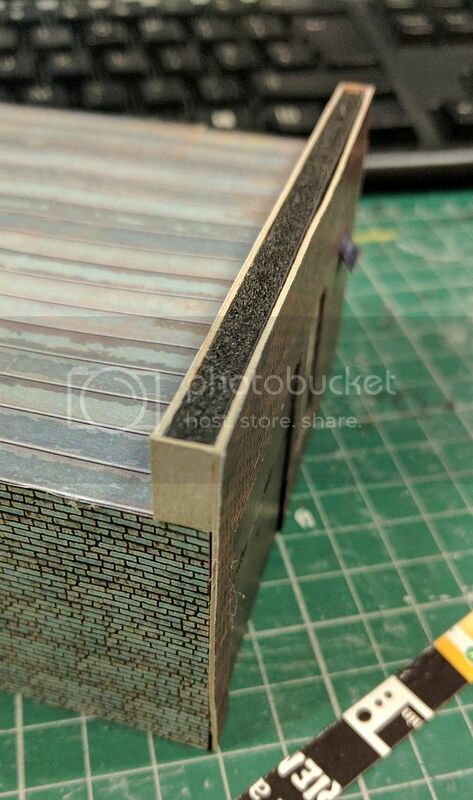 Moving onto the front of the roof, card and texture paper needs to be added to the sides, as well as the top to form capping stones. 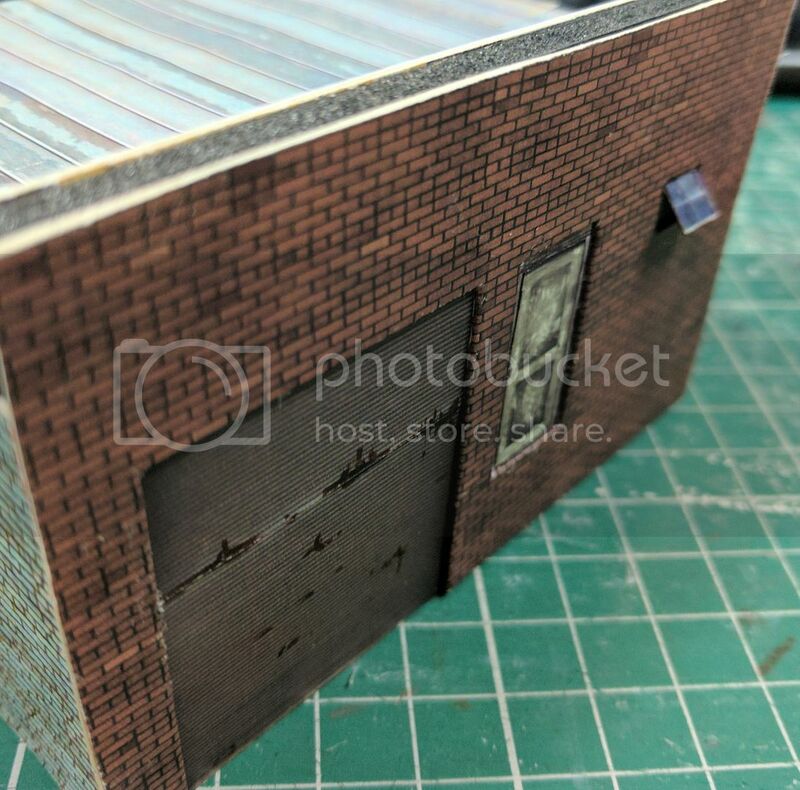 For the sides, card was glued in place, over which small rectangles of Union Hotel Brick texture paper was added - the white edges of this paper was coloured with a dark brown Sharpie, to stop the white edges ruining the illusion of the texture papers. Thanks for the article. 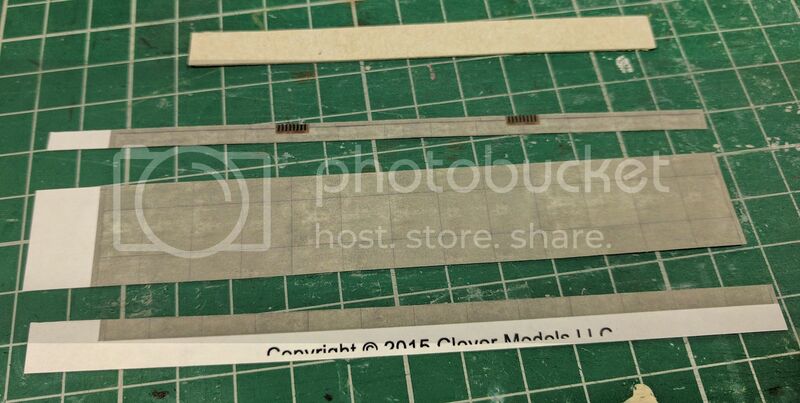 A friend of mine just introduced me to using card stock with model railroading but in a much larger scale. I appreciate seeing it done in N and the possibilities it opens up for the layout I am working on.